I am always nervous when a book comes out. 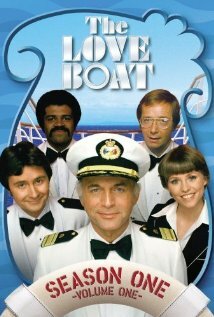 I’m combating my nerves by watching old episodes of the Love Boat. If ever I needed an open smile and friendly shore, it’s now. I’ve been trying to watch the episodes in order. Tonight’s episode stars Charo. Again. Better than warm milk. This entry was posted in anxiety, how to behave at a tea party, picture books, Tea Party. Bookmark the permalink. You’re kidding?????? I hope they got photos. My sister and her family were on a cruise with Charo in real life!